by William Shakespeare Author · Tom McAlindon Author of introduction, etc. Inexorably poisoned against the woman he loves by his trusted friend Iago, Shakespeare's Othello is a timeless tragic figure. This Penguin Shakespeare edition is edited by Kenneth Muir with an introduction by Tom McAlindon. A popular soldier and newly married man, Othello seems to be in an enviable position. And yet, when his supposed friend Iago sows doubts in his mind about his wife Desdemona's fidelity, and his friend Cassio's true intentions, he is gradually consumed by suspicion. In this powerful tragedy, innocence is corrupted and trust is eroded as every relationship is drawn into a tangled web of jealousies. 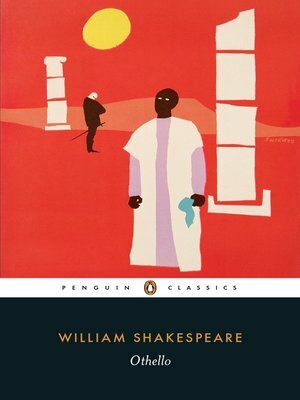 This book contains a general introduction to Shakespeare's life and Elizabethan theatre, a separate introduction to Othello, a chronology, suggestions for further reading, an essay discussing performance options on both stage and screen, and a commentary. If you enjoyed Othello, you might like Richard III, also available in Penguin Shakespeare.